​It has officially been four whole months since I first said my shahadah (declaration of Islamic faith), and while there are times I feel like I’ve been practicing Islam my whole life, there are other times where the reality of my reversion hits full force. As a Puerto Rican, I’ve sometimes been mistaken as a Dominican or some other Latino/Hispanic ethnicity my entire life. Yet, now that I wear hijab, I’ve been getting more questions from people about whether I’m Turkish, Indian, or Egyptian. I am always flattered to be asked if I’m from these beautiful cultures and ethnicities, but it’s just so amazing to me that covering my hair changes me from a Latina Muslimah into a Middle Eastern Muslimah in the eyes of the public. The funny thing is, even though the island of Puerto Rico seems to be worlds away from the Middle East, Arab and Spanish cultures are very similar, particularly with regards to language. In fact, Muslims conquered and ruled Spain for several hundred years. Between the years 711 and 1492, Islam had quickly spread to from North Africa to the Iberian peninsula in Southern Europe. Prior to this time period, Europe was in disarray with kingdoms fighting one another and its very own people fighting amongst themselves. Spain was in a state of turmoil at the time with its ruler, King Roderick, horrendously mistreating his subjects. His people were abused, oppressed, and at times even tortured for his own entertainment. When Muslim soldiers reached Spain, they found its society practically in shambles, offering up an easy takeover. Shortly thereafter, many Spanish natives converted to Islam, either out of allegiance to the new sovereign or personal choice. 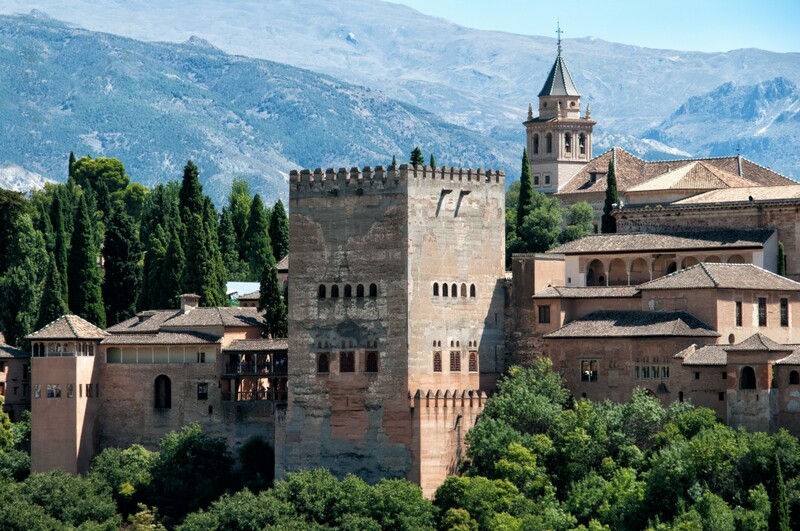 While many Spaniards did convert to Islam, there were many others who didn’t. These people were allowed to live amongst the Muslims, who ruled peacefully, and continued to follow their own religions, with some restrictions. For example, while religious houses that existed prior to the Muslim conquest were not destroyed, but rather maintained for believers to practice their faith, new religious houses that weren’t mosques were forbidden from being built. Non-Muslims were obligated to pay a tax that Muslims weren’t, and were not viewed as equal to Muslims in the court of law, but were treated quite well, generally — particularly in comparison to the Visigothic rule of King Roderick, under which religious minorities suffered horrid persecution. [Editor’s note: Sharia (a guideline for Muslims to follow) requires non-Muslims pay a tax called jizya; Muslims are not exempt from taxation, but pay theirs in the form of zakat (charity), which is a pillar of Islam and an obligation. The Prophet Muhammad’s Charter of Medina and various hadiths (sayings of the Prophet) also indicate that Muslims and non-Muslims should be treated justly, equally, and fairly in the court of law]. ​The Muslim rule of Spain happened to fall within the timeline of what is referred to as the “Golden Age” of Islam, where arts, science, mathematics, and poetry flourished. Not only were Muslims creating and discovering new information and practices, but they were also collecting and sharing knowledge they acquired with different lands they traveled to, adding to an already broadening pool of knowledge. One very common aspect of both the Arabic and Spanish language is the rolling of the letter “r.” For example, the “r” in the Arabic term “Rasulallah” (messenger) is said the similarly to the ‘r’ in Spanish words like “reina” (queen) or “rota” (broken). Likewise, there is a strong resemblance between the heavy “u” sounds in both Arabic and Spanish. For example, the “u” as pronounced in the phrase “abdul” (slave of) is very much like the phrase “durante” (during) in Spanish, both using that heavy emphasis on the vowel. The connection between Arabic and Spanish goes beyond just the sound of certain letters. There are whole Spanish words and phrases completely rooted in Arabic. The Spanish phrase “Ojalá,” translated to “hopefully” or “God willing” in English, is derived from the Arabic “inshallah,” which means the same thing and is commonly used the same way. This was a beautiful connection for me during the time I was looking into Islam, and certainly brought me one step closer to deciding to join this religion. As a new Muslim, it can be easy to feel overwhelmed by learning new practices and feeling pressured to follow them correctly. The linguistic connections between Arabic and Spanish have helped make my transition not only a bit easier, but also feel much more authentic and beautiful. It is so moving to know that the language of the religion I’ve found also plays an integral role to the very existence of the language spoken by my ancestors. This realization has helped me feel much closer to the words of the Qur’an; while I may not know or understand each word, there are certain sounds and even words that are actually familiar to me. As I continue to learn about Islam and my own cultural history, I can’t help but be humbled by the guidance I’ve been blessed with by God. It is a beautiful honor to be a Latina Muslimah and know that my existence is not as foreign or rare as most people would come to think, but in fact the opposite.